NAME: Pyrrha (*pronounced “peer-ah”), from Greek mythology and Italo Calvino’s Invisible Cities, which my husband and I loved. 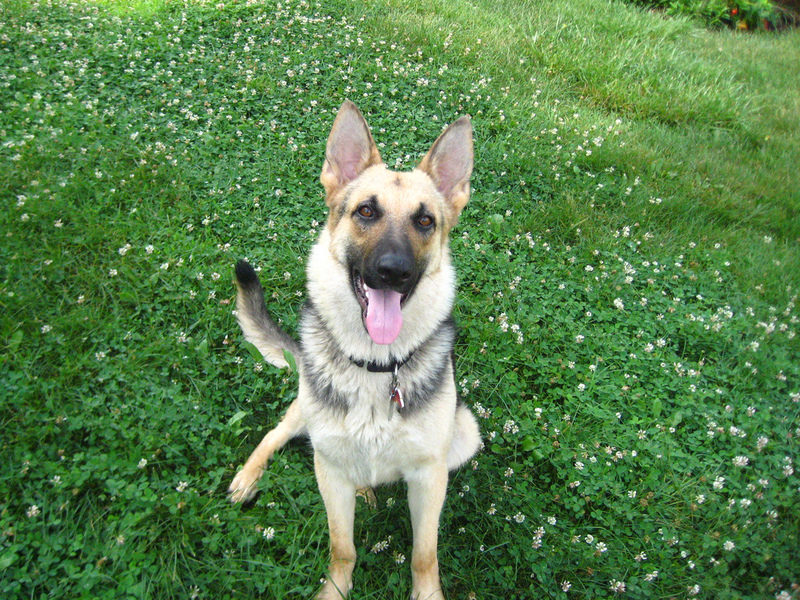 HISTORY: From Southeast German Shepherd Rescue, who rescued her from a backyard breeder in NC. It’s not an exaggeration to say that I’ve been waiting my whole life for this dog. Since I was a little kid, my dream of having a dog of my own has been an ever-present obsession, culminating in the creation of this blog and my year of concentrated canine research. 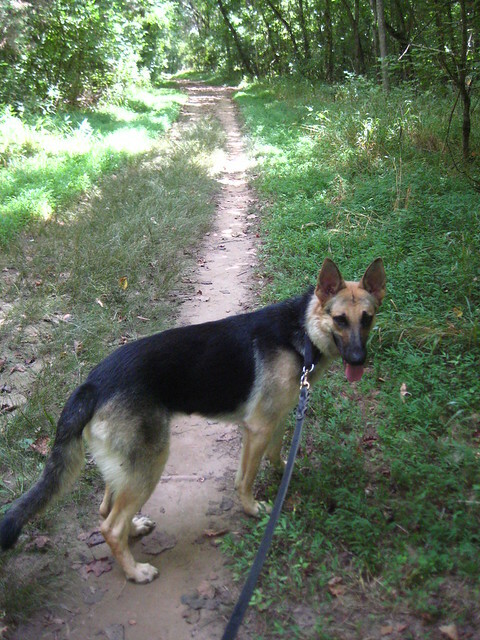 That long-held dream was finally realized on 17 May 2012, when we welcomed Pyrrha home, from Southeast German Shepherd Rescue. 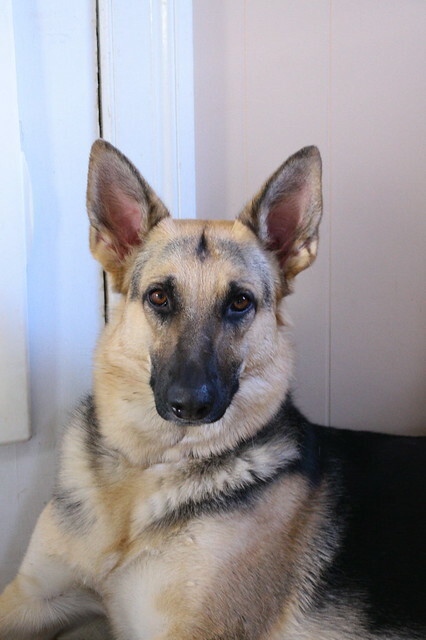 Pyrrha was rescued, along with 14 other shepherds, from a backyard breeder in North Carolina who decided to close down his operation. Pyrrha came to us very sweet and curious, but quite under-socialized as a result of her upbringing by a less-than-scrupulous breeder. Pyrrha is very much a blank slate at this point, and we are looking forward to sharing our journey with her here. She’s a beautiful girl, Abby! Adorable! My hubby and I always joked that after we bought our first house, we were going to get a dog before we even unpacked the boxes! We DID end up waiting a couple of weeks, but we had no idea what we were getting ourselves into when we brought home our little sweetie (she is 13 now!). Good for you for taking so much time to educate yourself – you are a wonderful role model!! So adorable! I absolutely love German Shepherds! 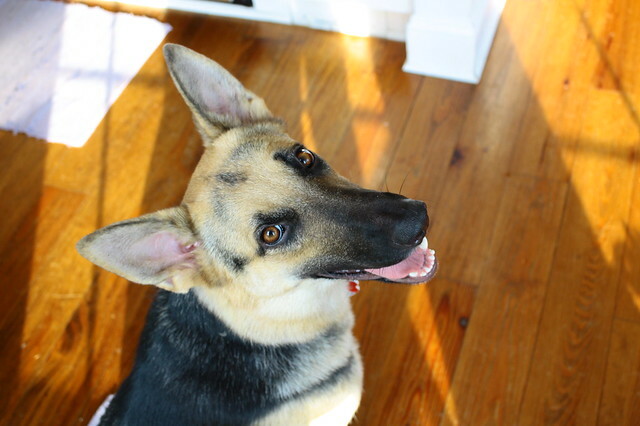 Every German Shepherd I’ve met has a been a friendly dog, and they are too cute to boot! Love that you taught her a “Be Pretty” command! Adorable.